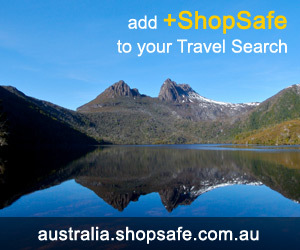 There are 54 shops in the ShopSafe USA Home Furniture Stores Shopping Category. A one stop shop! Decorative Product Source provide over 147 brand name companies that manufacture decorative plumbing, lighting, and hardware products. Their manufacturers include Kohler, Moen, Danze, Kichler Lighting, Hinckley Lighting, Baldwin Hardware, Kwikset Hardware and many, many more. Love Sac is the ultimate alternative furniture store, featuring high quality sacs, sectionals, bean bags and bean bag chairs. LoveSac sactionals make the perfect home theater furniture. Filled with Durafoam which is more comfortable and resilient than beanbag beans, they come with a two-lifetime guarantee never to go flat, or break. An online superstore of furniture and furnishings for inside and outside your home. Lamps and Lighting, Decor, Furnishings, Kitchen, Bedding, Bath, Outdoor, Kids and Office - plus a clearance section that is worthing checking out! Hanging your special artwork has never been easier, using the picture rail manufactured by STAS picture hanging systems. Hang your wall decorations quickly and easily, arrange and rearrange them time and time again without using any tools, screws or nails. A place for everything and everything in its place - The container store has that 'place' for 'everything'. Practical and stylish, their classic designs will have the most disorganised person ship shape in no time. One of the largest selection of luxury brands for your home available online - AbsoluteHome.com sells over 500,000 products in the categories of Kitchen, Bath, Lighting, Appliances, Tools, Decorative Hardware, Outdoor, Dinnerware, Home Decor, Fireplaces and more. Home Decorators Collection Outlet have a range of baths, furniture, home decor, lighting options, outdoor furniture, rugs, blinds as well as deals on 'items of the week'. All else failed? Let us help. If you want to see more Home Furniture Stores here, please e-mail home_furnishing@shopsafe.cc. Please do not change the subject line of your email. If the subject line does not contain "Add to ShopSafe Online Shopping" it will not be read.